For artificial sports pitch owners whose warrany is intrinsically tied to a suitable maintenance programme, surely a means of recording and monitoring usage and service levels is the very least you would expect from your pitch maintenance provider? Technical Surfaces provides this - and more - with OTIS. To find out more about Technical Surfaces and the pitch maintenance services we provide, call us on 08702 400 700, or download a copy of our Company Brochure here. 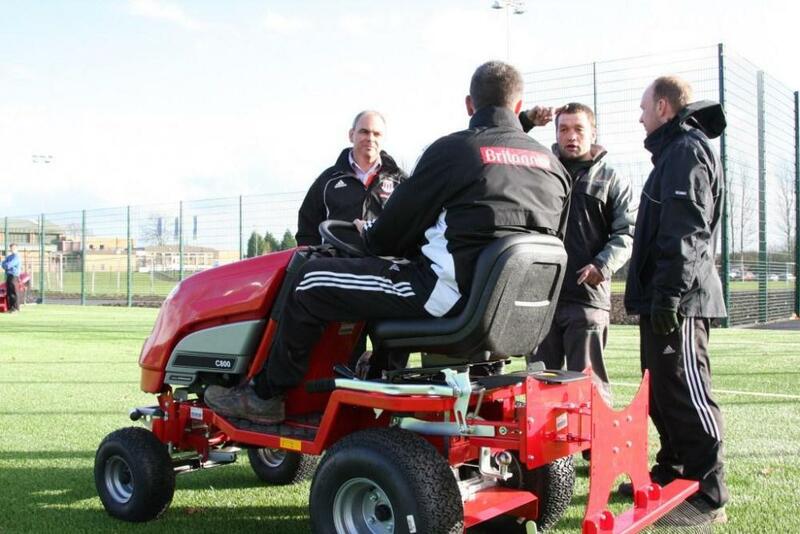 At Technical Surfaces, we have been promoting artificial pitch maintenance for over 15 years. In the past, it was hard to convince people that their ‘All Weather Pitch’ actually did require care and attention, and that the benefits of having an artificial pitch would only be realised with an effective maintenance programme in place. More recently, however, there has been a growing acceptance of the need to maintain an artificial pitch consistently and correctly throughout its life. And with the endorsement of governing bodies such as FIFA, our industry has witnessed an increase in the number of pitch maintenance companies, each advocating the benefits of maintenance via their own products and services. Now, we are not normally in the business of commenting on our rivals, but our attention has been drawn to recent press coverage from one of our competitors advising you as pitch owners / operators to ensure that your pitch maintenance package works for you, rather than for your maintenance provider. Technical Surfaces has always focussed on the essentials of pitch maintenance, identifying exactly what our customers are looking for. Key factors include cost, pitch usage, manufacturer’s warranty and projected life expectancy. We understand that these needs are different for every customer, and over the years we have evolved and improved our services, and are proud to provide MatchFit® as our unique approach to artificial pitch care. Quite simply, we tailor every MatchFit® maintenance package to suit our customers’ wants, as well as their needs. We understand that our customers want an artificial pitch they can use all-year round, without spending huge amounts of money to do so. However, as pitch maintenance experts, we also know that the maintenance completed on an artificial pitch needs to be able to support the amount and type of usage taking place, both to preserve performance levels and provide a safe, long-lasting playing surface. 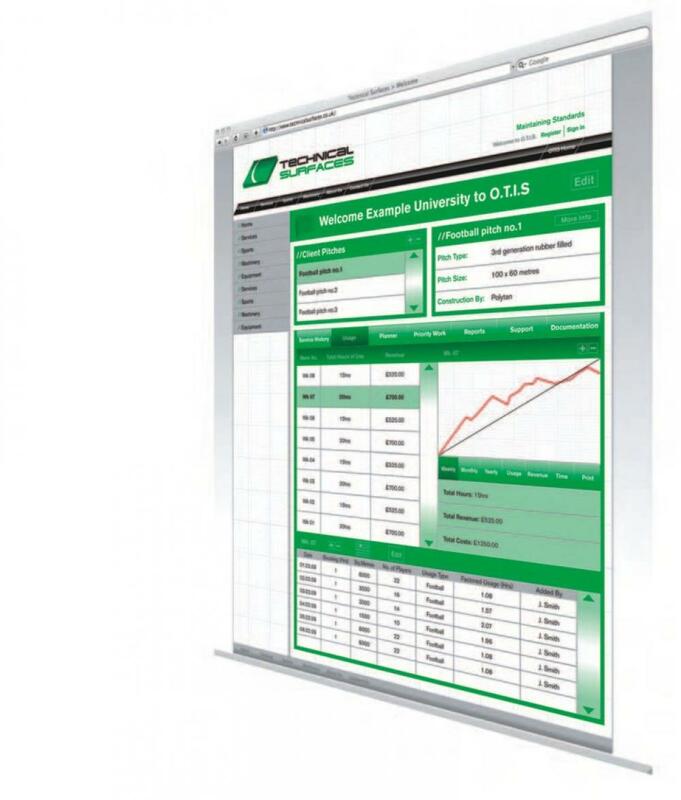 With MatchFit®, we can match our customers’ expectations without compromising our high standards. 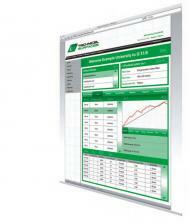 And this is where Technical Surfaces stands above other maintenance providers. We are committed to improving the way maintenance is logged and monitored, ensuring that every surface receives an appropriate level of care throughout its life. Logging both maintenance work and usage is critical to the longevity of an artificial pitch; without accurately recording both aspects it is impossible to ensure that your surface is being cared for properly. And for those of you whose pitch warranty is intrinsically tied to a suitable maintenance programme, surely this should be the very least you would expect from your pitch maintenance provider? Did you know, MatchFit® was developed specifically in line with the maintenance requirements outlined by the FA, RFU and Football Foundation in their Framework Contract for the provision of artificial grass pitches? Not only that, but Technical Surfaces is also actively involved with 50% of all the manufacturers selected by the FA, RFU and Football Foundation to provide 3G sports pitches across the UK. Pitches installed within the Framework Contract must be maintained to an appropriate standard in order to comply with the Quality Control requirements, and are subject to frequent testing to ensure they remain fit for purpose. All of our MatchFit® packages come with access to OTIS, our exclusive online facility that monitors both pitch activity and maintenance, to determine whether the maintenance programme in place is suitable for the level of use the pitch is receiving. 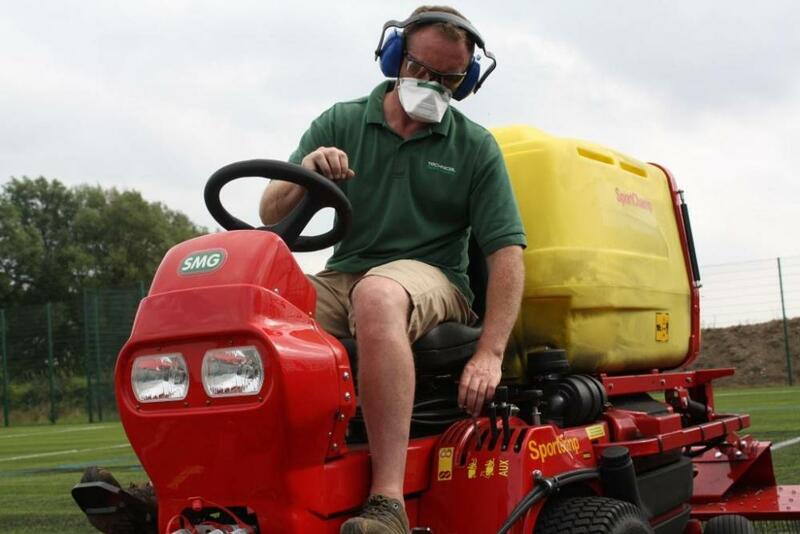 If any changes are required, Technical Surfaces works with the manufacturer and the pitch operator to adjust the pitch maintenance programme. And that is a level of service and quality that no other maintenance company can provide. Technical Surfaces is also leading the way in the field of research and development of artificial pitch maintenance, and we are working in partnership with Loughborough University to develop a scientific approach to measuring and understanding the effects of artificial pitch maintenance. We have been granted access to the 3G pitches at St. George’s Park, and we liaise regularly with the FA grounds staff, helping them to fine-tune their maintenance works in line with our findings and recommendations. 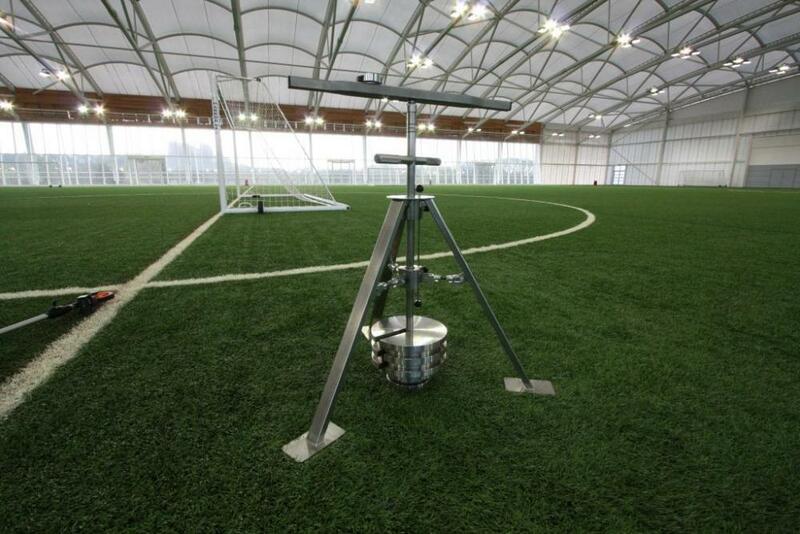 Our test kit – derived from official standardised test equipment used by FIFA – is a portable piece of reliable testing equipment that we believe will pave the way for grounds teams to carry out their own regular monitoring and testing of the condition of their pitches. Regular tests to monitor hardness, ball roll and ‘free’ pile height (i.e. the amount of fibre that sits free above the rubber infill), as well as an analysis of traction and ball rebound, will allow grounds teams to observe and record the impact of usage and maintenance. The need to make sure that your pitch maintenance programme works for you is the very essence of our own philosophy, Maintaining Standards. So if you’re in need of a maintenance provider, or even if you’re just looking for some advice, look no further than Technical Surfaces – the original, and still the best.